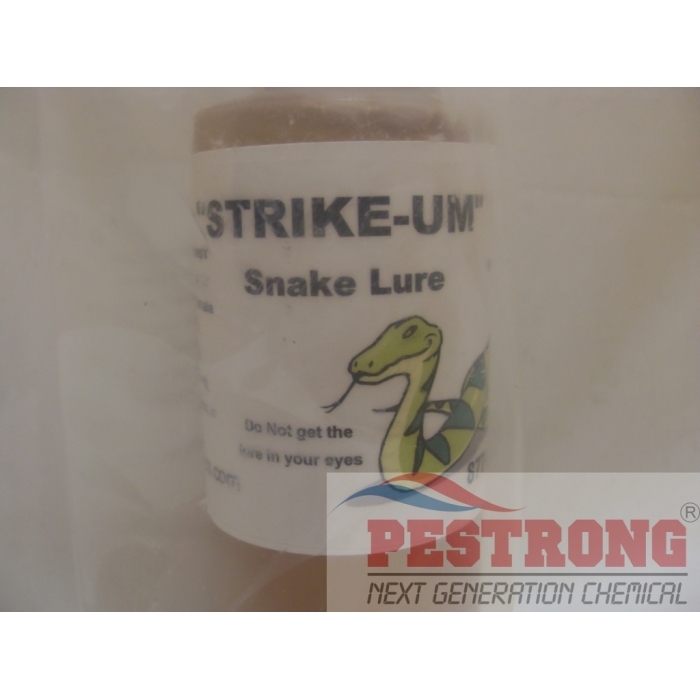 Where to Buy Strike Um Snake Lure, Strike Um Snake Lure Bait - 4 Oz - $25.95 for Sale with Fast Free Shipping! Strike Um Snake Lure Bait - 4 Oz has been formulated by the pros, for the pros. 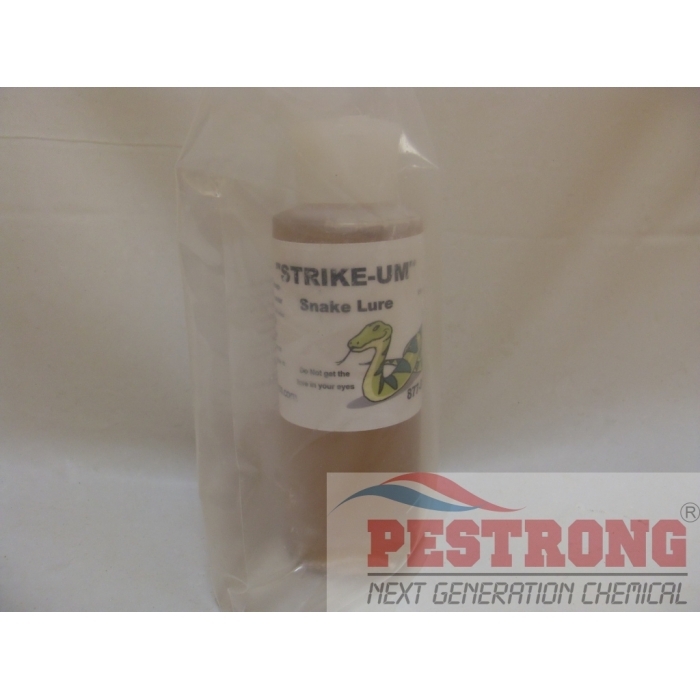 Simply place 4-6 drops on sheeps wool or cotton ball in center of glue trap. If a snake is around, you will catch it. Usually can take 12 - 72 hours for it to work, it depends on the snakes feeding cycle. Snakes do not feed on a daily basis, in most cases. This works pretty well, all you have to do is follow it's direction, wet a cotton ball a little with the lure and put it in the middle of the glue traps, and they just come and get caught like flies are attracted to light traps.